Juice up their trike with a Poketo bike bell! 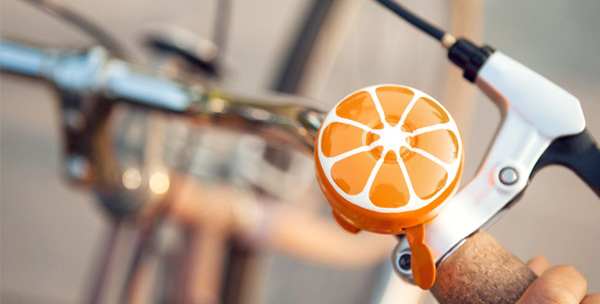 A bike bell that meets the requirements of both style and safety? You bet! Next time someone suggests adding a splash of paint to an old bike to spruce it up, how about considering a hand-painted bike bell? You can bet there won’t be too many other rides in the bike rack with knock-out bike bells like these bright coloured beauties found at Poketo. There’s no reason why safety and style can’t work together as proven here. Each bell is carefully hand painted by Canadian artisans using eco-friendly paints, then baked to withstand all types of weather to protect that stellar paint job! 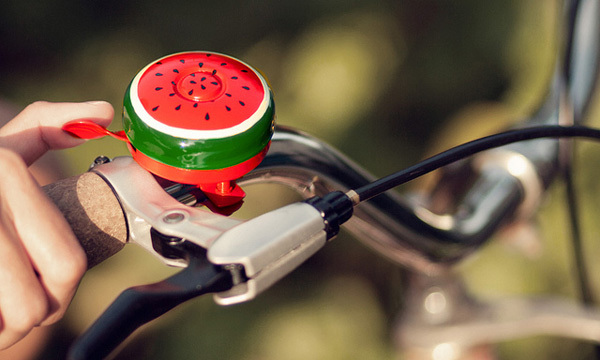 Hand-painted bike bells are available in orange and watermelon styles and are priced US$29 from Poketo.